As a grieving family calls for changes at the fair, Hillsborough's Sheriff vows safety improvements have been made. HILLSBOROUGH COUNTY, Fla. — Student night at the Florida State Fair is a painful reminder for Deanna Joseph, who lost her 14-year-old son in 2014. Andrew Joseph III was killed crossing I-4 after he was detained and ejected from the fair five years ago. 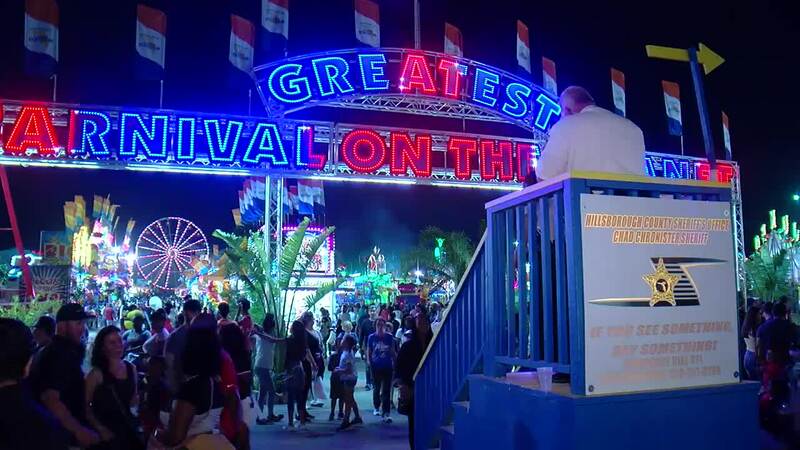 Since then, the Hillsborough County Sheriff's Office has faced criticism for how it handles young crowds at the fair. Many teens detained were released without parents being notified of what happened. A group of protesters gathered Friday night to call for accountability and changes to safety and security protocols. Hillsborough County Sheriff Chad Chronister tells ABC Action News that many changes have been made since Andrew's death to improve oversight at the fair. He says more security cameras and observation towers were added this year. They have also increased the number of deputies and community action team members who patrol the midway. Chronister says arrests and ejections during student night at the fair have been declining in recent years. "Where can we improve, how can we do things different to provide an even greater degree of safety for the children that are here," said Chronister. The sheriff's office announced on Saturday that there was a decline in ejections during student day this year. In 2018 they reported 47 people were trespassed, compared to 36 this year. thank the 40 volunteers on our Community Action Team who walked the fairgrounds with me last night. Together we create a safer environment every year for our students to come have fun."